Maple tapping season is underway in the sugar maple stands of the United States. Warm days and below-freezing nights kick off a cycle of sap flow crucial for maple syrup production. But why is the flow of sap so temperature dependent in sugar maples? University of Vermont maple researcher Abby van den Berg explains how ice crystals in the trees’ cells power sap flow, while Yale University’s Craig Brodersen tackles how other trees and plants move gallons of fluid per day from roots to leaves—all without using any energy at all. In mid-March, a late winter storm dumped inches of rain on frozen soil in the Midwest, flooding the Missouri River and tributaries—particularly in agriculture-intensive Iowa, eastern Nebraska, and western Illinois. The storm has submerged farm fields under water, washed-out roads and bridges, caused grain silos to burst from flood damage, and drowned livestock. Many farmers may be unable to plant their fields in time this year, or even at all. But soil experts looking at that same damage will notice another thing: erosion of precious topsoil. This first layer of soil is the key to the Midwest’s immense fertility and agricultural strength, but a resource that is slow to rebuild after major losses like farms are currently experiencing. Mahdi Al-Kaisi, a soil scientist at Iowa State University, explains why erosion is bad news for farmers, and how the damage from this flood event could ripple for years to come. Bristlecone pine trees grow in harsh, dry mountain climates and can live up to 5,000 years old. The trees have adapted to these rough habitats by building up dense woody trunks that can hold up against insects, and rely on the wind to disperse their hard seeds. Ecologist Brian Smithers became interested in these species because “they epitomized growing and living on the edge of what is possible.” Smithers talks about the adaptations and competition the species will face as rising temperatures from climate change force the trees to move up in elevation. Washington University’s analysis of data from Missouri utility companies shows high levels of toxic coal ash contamination near ponds power plants use to dump waste from coal combustion. Will proposed new regulations be enough? April is National Poetry Month, a time of readings, outreach programs, and enthusiastic celebration of the craft. And for a special Science Friday celebration, we’ll be looking at where science and poetry meet. Tracy K. Smith, the current U.S. poet laureate, wrote the 2011 book Life On Mars, which touches on dark matter, the nature of the universe, and the Hubble Telescope—all as an elegy for her deceased engineer father, Floyd. Rafael Campo, a physician, poet, and editor for the Journal of the American Medical Association’s poetry section, writes poems about illness, the body, and the narratives each patient brings to medical settings. The two talk to Ira about where science fits into their work—and how poetry can inform science and scientists. Read some of the poems, and a syllabus of science-related works suggested by SciFri listeners, here. Calculus underpins many of the greatest ideas about how the universe works: Newton's Laws, Maxwell's Equations, quantum theory. It's been used to develop ubiquitous technologies, like GPS. It was even used to model the battle between HIV and the human immune system, which helped researchers fine tune triple-drug therapies to combat the virus. In his book Infinite Powers: How Calculus Reveals the Secrets of the Universe, mathematician Steven Strogatz takes readers on a journey around the world, detailing the bright ideas that contributed to modern calculus and citing the many ways those mathematical ideas have changed the world. Learn more here. Once upon a time, everything in the universe was crammed into a very small space. Then came the Big Bang, and the universe has been expanding ever since. But just how fast is it expanding? Calculating that number is a challenge that dates back almost a hundred years, when Edwin Hubble used data from Harvard astronomer Henrietta Swan Leavitt to try to answer that question. His value came to be called the Hubble constant, H0. But the exact value of that constant has been hard to pin down. And now two different approaches to measuring the Hubble constant have come up with close, but different answers—and each team says they're pretty confident in the accuracy of their measurements. Ira speaks to science writer and author Anil Ananthaswamy and Nobel laureate Adam Riess to discuss the discrepancy. This flu season, Science Friday teamed up with Flu Near You to ask listeners to track their symptoms to create a map of influenza-like illness across the country. Nearly three thousand SciFri users participated. Science Friday education director Ariel Zych and biostatician Kristin Baltrusaitis, who was a research assistant for Flu Near You, tells us how the SciFri community results stacked up to the rest of participants. Plus, epidemiologist Karen Martin gives an update on how this season compares to years past and how the Minnesota Department of Health uses Flu Near You data for surveillance on a local level. See the results here. It’s become the familiar refrain in this era of climate change: Warmer temperatures, retreating glaciers, and rising sea levels. But when it comes to Greenland’s Jakobshavn Glacier, it seems the drumbeat of disaster may have halted—for now. Scientists report in the journal Nature Geoscience this week that the once fast-retreating ice sheet has been thickening over the last few years instead. It’s a reversal of a twenty-year trend of thinning and retreating, but perhaps not for long. Ala Khazendar, researcher at NASA’s Jet Propulsion Laboratory, joins Ira to explain why this glacial about-face may not be the cause for celebration that we think it is in this week’s Good Thing, Bad Thing. And Gizmodo writer Ryan Mandelbaum talks about the canceled all-female space walk, NASA's lunar ambitions, and more in this week's News Roundup. There’s been a changing of the guard in the U.S. House of Representatives. In January, Representative Eddie Bernice Johnson, a democrat from Texas, took over as chair of the House Committee for Science, Space, and Technology from her predecessor Lamar Smith. Smith was in charge of the House Science Committee for six years—an era that was defined by partisan attacks on climate science, and the issuing of congressional subpoenas to scientists. Chairwoman Johnson is looking to restore credibility to the House Science Committee, listening to the scientific consensus on climate change and aiming for bipartisan oversight of scientific programs. She joins Ira to talk about bringing science back to the committee, changes she plans to make from previous leadership, and how much progress will the new committee make when it’s up against an administration that’s been hostile to many of the agencies that conduct scientific research. Plus: This El Niño year has been dumping rain and snow on California's Sierra Nevada mountains. But water managers don’t just eyeball how much snow they think is up there, tucked away in those high mountain basins. Snow inventories these days are high tech, involving airplanes and lasers. Tom Painter of NASA's Jet Propulsion Lab and Caltech joins Ira to explain. The hills and deserts of the southwest have been putting on quite a show this spring—a superbloom that's better than some areas have seen in generations. Science Friday producer Christopher Intagliata headed down to Walker Canyon in Lake Elsinore, California, to check it out. See his photos and learn why superblooms aren't a regular occurrence in California. The New Mexico state legislature has passed a bill calling for the state to transition entirely to renewable energy by 2050. Laura Paskus, environmental reporter for the New Mexico Political Project, joins Ira to explain the details. And science journalist Annalee Newitz explains the surprising first results from Japan's Hayabusa2 mission to asteroid Ryugu in this week's News Roundup. Primatologist Frans de Waal has spent his lifetime studying the lives of animals, especially our closest cousins, the chimpanzees. de Waal has observed their shifting alliances and the structure of their political ranks. He has seen bitter conflicts break out, only to be mended by peaceful, respected mediators. And he has witnessed chimpanzees grieve for, and attempt to comfort, their dead and dying. But one of the most touching reflections in his new book, Mama’s Last Hug: Animal Emotions and What They Tell Us About Ourselves, is the story he tells of a female chimp who didn’t produce enough milk to feed her young. When de Waal taught her to feed her baby with a bottle instead, she repaid him with what most of us would recognize as gratitude: holding both of de Waal’s hands and whimpering sadly if he tried to leave. The book explores many stories of animal emotions from across the animal kingdom, and it might leave you wondering how unique humans really are. Gentrification happens when a previously low-income or working class neighborhood sees an influx of well-off new residents. Rents go up, new development sets in, and the neighborhood’s original residents may be displaced by those with more money. Cities who can recognize gentrification in progress can take steps to prevent displacement and funnel resources, or even slow the neighborhood’s changes directly. But while a new yoga studio or fancy coffee shop may be one obvious sign of rising rents, there are earlier indications that might help cities fend off some of the side effects sooner—building improvements like new siding, landscaping, and more go markedly up as new money arrives. Writing in the journal PLOS One this week, a research team at the University of Ottawa describes one new tool in the toolkit: they turned to Google’s Street View, and taught an AI system to recognize when an individual house had been upgraded. Putting those upgrades on a map revealed not just areas the researchers already knew were gentrifying, but also other pockets where the process had begun unnoticed. Michael Sawada, a professor of geography, environment, and geomatics at the University of Ottawa, explains the big data approach to catching gentrification in action. Anyone who has glanced at the back of a bottle of aspirin or a box of allergy tablets has seen it: the “Inactive Ingredients” list. All medications include compounds that help stabilize the drug or aid in its absorption. They aren’t given a second thought because they’re “inactive,” which suggests that these ingredients don’t do any harm. But in fact, according to a new study out this week, over 90 percent of medications have inactive ingredients that can cause allergic reactions in certain patients, including peanut oil, lactose, and gluten. Do you have a favorite chemical element? Neurologist Oliver Sacks did—he was partial to dense, high melting-point metals, especially those metals between hafnium and platinum on the periodic table. This month marks the 150th anniversary of chemist Dmitri Mendeleev’s design for the periodic table—and we didn’t want to miss out on the party. In this special podcast, we revisit Sacks’ fascination with the elements, and Ira opens up the Science Friday vaults to share two tales of chemical discovery and creation. First, we take a trip back to 2004 for a chat with nuclear chemist Joshua Patin of a scientific team responsible for the creation of two new chemical elements (elements 113 and 115). Then, a voyage to 2010, for a conversation with the late Nobel laureate and buckyball co-discoverer Sir Harry Kroto. Nearly twelve years ago, a cancer patient infected with HIV received two bone marrow transplants to wipe out his leukemia. Now, researchers in the United Kingdom reported in Nature earlier this week that their patient, a man known only as “the London patient,” had been in remission and off anti-retroviral therapy for 18 months after undergoing a similar bone marrow transplant, with the same gene mutation involved, to treat leukemia. While the team is hesitant to call their patient cured, he is the first adult in twelve years to remain in remission for more than a year after stopping medication. But what do these two patients’ recoveries, requiring risky and painful transplants, mean for the millions of others with HIV around the world? Two HIV researchers not involved in this research, Katharine Bar of the University of Pennsylvania and Paula Cannon of the University of Southern California, tell us about the latest treatments that could someday be more broadly accessible, including gene therapies and immunotherapy, and what hurdles clinical studies still face. Plus: Over 500 million years of evolution has resulted in the same bony framework underlying all mammal species today. But why is the leg bone connected to the ankle bone, as the song goes? And what can the skeletons of our ancestors tell us about how humans became the walking, talking bag o’ bones we are today? Science writer Brian Switek, author of the new book Skeleton Keys, joins Ira to explain why our skeletons evolved to look the way they do. And jumping spiders are crafty hunters, but sometimes they need their own disguise to avoid their own predators. The Crematogaster jumping spider, for example, avoids detection by mimicking ants, and go as far as losing their ability to jump to look more ant-like. Sometimes, predators can be your own mates—male jumping spiders becoming a female’s meal if their courtship displays don’t impress. Biologist Alexis Dodson and Entomologist Lisa Taylor talk about what jumping spiders can tell us about tell us about the evolution of coloration and communication in the natural world. On December 14, 1972, as Apollo 17 astronaut Eugene Cernan prepared to board the lunar module, he gave one last dispatch from the lunar surface. And yet, 47 years later, humankind has not set another foot on the lunar surface. But now, NASA’s ready to return, with the Moon to Mars program. NASA administrator Jim Bridenstine joins Ira in this segment to talk about the agency's ambitions beyond Earth, the role of commercial space companies in getting us there, and why he thinks plant science is "critical" to NASA. Plus: There aren’t very many old-growth forest left in North America. And while it would be wonderful to be able to preserve all of them, resources to protect those forest patches are also in limited supply. So if you’re forced to choose between two areas of old-growth forest, how do you prioritize which of these islands of biodiversity to focus on? A new study suggests to look at the lichens. Troy McMullin, a research scientist in lichenology at the Canadian Museum of Nature in Ottawa, Ontario, joins Ira to talk about the stories lichens can tell about the forest ecosystem. California has been experiencing its wettest winter in decades. That’s good news in a state that has chronic water management issues and what feels like only recently recovered from a devastating multi year drought. The bad news? Researchers say that thanks to climate change and forest management practices, a wet winter like this one will no longer make a difference come next year’s wildfire season.Valerie Trouet, Associate Professor of Dendrochronology at the University of Arizona, tells us more. And Amy Nordrum of IEEE Spectrum tells Ira about a SpaceX "crew" visiting the International Space Station and other top science headlines in this week's News Roundup. During an electrical system test early in in the morning of April 26, 1986, Reactor 4 of the Chernobyl Nuclear Power Plant exploded. The disaster at the plant was not caused solely by the test, however—a perfect storm of engineering and design missteps, operational errors, and cultural problems all aligned to bring about the catastrophe. In his new book, Midnight In Chernobyl: The Untold Story of the World’s Greatest Nuclear Disaster, journalist Adam Higginbotham describes the events that led up to the meltdown, the dramatic, heroic, and perhaps futile attempts to lessen the extent of the accident, and the attempts by Soviet officials to contain the political ramifications of the explosion. He joins Ira to tell us more. Plus: Every vertebrate has red blood cells—that is, except for a small family of fish from the notothenoid family known collectively as “icefish.” These Antarctic-dwelling fish have translucent blood, white hearts, and have somehow adapted to live without red blood cells or hemoglobin. H. William Detrich, a professor of marine and environmental sciences at Northeastern University, explains how scientists are trying to decipher the secrets of the mysterious icefish. What’s more terrifying than becoming a new parent? Starting out as new parents in the Newborn Intensive Care Unit, where babies spend their first days entangled in wires attached to sensors that monitor their vital signs. But in the digital age, why must wires and sensors take up so much real estate on a tiny baby? That’s the question driving the development of a new monitoring device—a small wireless sensor that takes the scary “science experiment” effect out of the NICU, and gives parents more time to cuddle with their newborn. John Rogers, professor of material science and engineering and director of the Center for Biointegrated Electronics at Northwestern University, joins Ira to discuss how the new device could transform neonatal care in the U.S. and in developing nations around the world. DNA is the universal programming language for life, and the specific code to that program are the combination of the base pairs adenine, guanine, cytosine and thymine. But are those the only base pairs that could be used to create DNA? Scientists looking into this question were able to create 4 different base pairs that don’t exist in nature. Chemist Floyd Romesberg, biologist Jef Boeke, and bioethicist Debra Mathews tell Ira how altered genomes could be used for creating novel medicines and fuels—and whether this is considered a new form of life. Plus: The climate is changing. Globally, of course. But also in Washington, where growing numbers of Republicans are jumping behind policies that would result in meaningful action on climate change. And yet, even as Congress appears ready to at least discuss the issue, and the government’s own scientists and military leaders sound louder alarms about the impending dangers of global climate change, the White House is assembling a group of climate change adversaries to counter those mainstream views. David Titley, a retired rear admiral who founded the Navy's task force on climate change, explains. Last year, China tightened standards for recycled materials it would accept, and now local recyclers nationwide find themselves struggling to find new homes for plastics, cardboard, and other materials that fell below par. Dana Bate, health and science reporter for WHYY, tells Ira how Philadelphia and its suburbs are handling the issue in the State of Science. And Sophie Bushwick, technology editor for Scientific American, explains how extreme climate change might cause stratocumulus clouds to disappear for good, and other top science news headlines, in this week's News Roundup. The Science Friday Book Club discussion of N.K. Jemisin’s The Fifth Season may have stopped erupting for the season, but we have one more piece of volcanic goodness for you. SciFri producer and chief bookworm Christie Taylor got the chance to speak with Jemisin at our book club meet-up, “Voyage To The Volcanoes,” at Caveat in New York City. Listen for Jemisin’s adventures in volcano research, how real-world events inspired her to build an entire society around disaster preparedness, and how knowing your neighbors can be lifesaving. At the event, we also spoke to volcanologist Dr. Janine Krippner, who helped debunk volcano myths. And SciFri staffers Lauren J. Young and Johanna Mayer explained how history’s volcanic winters have influenced art (and religion) over the centuries. So, sit back and listen while you ponder what’s percolating deep in our planet—from quakes to shifting plates. When it floods in California, the culprit is usually what’s known as an atmospheric river—a narrow ribbon of ultra-moist air moving in from over the Pacific Ocean. Atmospheric rivers are also essential sources of moisture for western reservoirs and mountain snowpack, but in 1861, a series of particularly intense and prolonged ones led to the worst disaster in state history: a flood that swamped the state. The megaflood turned the Central Valley into an inland sea and washed away an estimated one in eight homes. What would happen if the same weather pattern hit the state again? Los Angeles Times reporter Louis Sahagun and University of California, Los Angeles climate scientist Daniel Swain join Ira to discuss the storms, its potential impact on local infrastructure, and why disastrous flooding events like the one in 1861 are not only becoming more likely as the planet warms, but may have already been a more frequent occurrence than previously thought. Plus: As a grad student in astrophysics at Cambridge University, Priya Natarajan devised a theory that might explain a mysterious relationship between black holes and nearby stars, proposing that as black holes gobble up nearby material, they “burp,” and the resulting winds affect the formation of nearby stars. Now, 20 years later, the experimental evidence has finally come in: Her theory seems correct. This hour, Ira talks with Priya about her theory. And Nergis Mavalvala of MIT joins to talk about why “squeezing light” may be the key to detecting more distant black hole collisions with the gravitational wave detector LIGO. Learn more here. The American Astronomical Society meeting is the largest annual gathering of astronomers and astrophysicists. It’s not known for drama. But this year, the buzz in the room wasn’t too different from the nervous energy during an awards night. That’s because there is a competition underway for what will be NASA’s next big space telescope—the next Hubble or James Webb. There are four nominees, and eventually there will be a winner. Science Friday assistant producer Katie Feather reported on the event from the not-quite red carpet. Learn more about the nominees here. The painter Georgia O'Keeffe is known for her bold paintings of landscapes and flowers. Recently, scientists took a closer look at those paintings and noticed smaller details that O’Keeffe did not intend to include. They found “art acne”—small pock marks—on many of her paintings caused by age and reactions of the pigments. Marc Walton, co-director of the Center for Scientific Studies in the Arts at Northwestern University and Art Institute of Chicago, talks about the chemistry behind the “art acne,” and how these paintings might be conserved in the future. From tenured physicists to home experimenters, many researchers have been plagued by a question—why do grapes spark when you microwave them? More than a few microwaves have been destroyed to answer this top physics question. A team of researchers decided to rigorously test this question so you don’t have to. Physicist Aaron Slepkov, an author on that study, tells us how grapes are able to harness the energy of these home kitchen waves and what this can tell us about the field of photonics. During the last sixty years, only three countries have sent landers to the moon: the U.S., China and the Soviet Union. Israel may become the fourth. On Thursday, SpaceIL—an Israeli company—launched the Beresheet spacecraft. If the spacecraft does reach the moon, it will be the first mission completed by a private company without the financial backing of one of the big space agencies. Jason Davis, digital editor for the Planetary Society, talks about what this mission means for lunar science and its implications for nonprofit and commercial companies sending missions to the moon. This week, talks between California state and federal government officials concerning rules for car fuel efficiency standards broke down. Under the Clean Air Act of 1970, California had previously been given special permission to set higher standards for mileage and fuel economy—but now the Trump administration says that only the federal government can set those standards. Lauren Sommer, science and environment reporter at KQED, joins Ira to discuss what that decision means, and what might come next in the confrontation. And finally Ryan Mandelbaum, science writer at Gizmodo, tells Ira about the Japanese mission to shoot a bullet into an asteroid and other top science headlines in this week's News Roundup. In this final installment of the winter Book Club, we wrap up a winter of exploring The Stillness, learning how volcanologists research lava flows and crater tremors, and even diving into the center of the earth. Ira joins Science Friday SciArts producer Christie Taylor, Caltech seismologist Lucy Jones, and University of Colorado disaster sociologist Lori Peek to talk about the power of earthquakes, volcanoes, and other hazards that shape societies. We also talk about how a natural hazard becomes a human-scale disaster—and who suffers most when a community is insufficiently prepared. Plus, a roundup of the week's biggest science news, and a story from Arizona about dealing with drought. That once vibrant forest has gotten quieter and emptier, as many of the insects— and the animals that depend on them—have disappeared. In a worldwide report card on the state of insects in the journal Biological Conservation, the conclusion is dire: “This review highlights the dreadful state of insect biodiversity in the world, as almost half of the species are rapidly declining and a third are being threatened with extinction.” We discuss the consequences of the "insect apocalypse." By 2035, scientist have predicted that over a hundred U.S. coastal communities could experience more than 26 days of low level floods. Researchers at Stanford University determined the economic impacts of this type of flooding in the tourist area of Annapolis, Maryland. Climate risk scientist Miyuki Hino, an author on the study, talks about the impacts of these small-scale effects of climate change. Fluids are all around you, of course—but how often do we take a moment to think about how liquids work? What makes one slippery and another sticky? Why does one make a good salad dressing, but another a good rocket fuel? Materials scientist Mark Miodownik tackles those questions in his book Liquid Rules. At the very center of the Earth is a solid lump of iron and nickel that might be as hot as the surface of the Sun. This solid core is thought to be why our magnetic field is as strong as it is. As the core grows, energy is transferred to the outer core to power the “geodynamo,” the magnetic field that protects our atmosphere and deflects most solar wind. But geophysicists think that the core was originally completely liquid, and at one point between 2 billion and 500 million years ago, transitioned from molten metal to a solid. At that time, our magnetic field was much weaker than it is today, according to new research in Nature Geoscience. The scientists looked at new samples of crystals that first cooled from lava 565 million years ago and found evidence in their magnetic signatures that the core must have solidified at the younger end of the previously predicted range—much more recently than expected. Whether we’re aware of it or not, “the cloud” has changed our lives forever. It’s where we watch movies, share documents, and store passwords. It’s quick, efficient, and we wouldn’t be able to live our fast-paced, internet-connected lives without it. Now, federal agencies are storing much of their data in the cloud. For example, NASA is trying to make 20 petabytes of data available to the public for free. But to do that, they need some help from a commercial cloud provider—a company like Amazon or Microsoft or Google. But will the government’s policy of open data clash with the business model of Silicon Valley? Mariel Borowitz, Assistant Professor at Georgia Tech and Katya Abazajian, Open Cities Director with the Sunlight Foundation join guest host John Dankosky to discuss the trade offs to faster, smarter government data in the cloud. One morning after the next, semi-trailer trucks get off Interstate 70 near Colby in west-central Kansas. They haul parts of giant wind turbines in 150-foot-long sections, the pieces to the Solomon Forks wind farm and the next monumental phase of the Kansas bet on wind energy. The farm will plant 105 turbines in the prairie, each towering 250 feet high. The project is one of a wave of wind farms under construction in Kansas that will add 20 percent more electrical generation to the state’s output. Earlier building surges sprung from tax breaks and from pressure by regulators on utilities to wean themselves off fossil fuels. This time, Fortune 500 companies that are new to the electricity business risk their own money on the straight-up profit potential of prairie breezes. The Solomon Forks project developed by ENGIE North America will crank enough electricity to power more than 50,000 homes. Target and T-Mobile already cut deals to buy hundreds of megawatts from the wind farm. The retailer and cell company will become electricity wholesalers, playing a direct role in generating less-polluting energy and banking that the marketplace can make them money even without the subsidies that drove the industry for decades. The button is everywhere. It allows us to interact with our computers and technology, alerts us when someone is at the front door, and with a tap, can have dinner delivered to your home. But buttons also are often associated with feelings of control, panic, and fear. Rachel Plotnick, author of Power Button: A History of Pleasure, Panic, and the Politics of Pushing, discusses the development of buttons and what they reveal about our interactions with technology. New research finds that the same pathways in the brain that control human hunger can shut down a mosquito’s interest in biting you. Rockefeller University professor Leslie Vosshall tells us about how this technique can potentially inhibit female mosquitoes from seeking out human blood—and stop the spread of disease. Later this month, the Grand Canyon celebrates the 100th anniversary of becoming a national park. But the natural wonder has way more than 100 years of stories to tell. The millions of years of geologic history, coupled with the massive scale of the canyon, make it challenging to create a comprehensive view of the Grand Canyon. Matthew Toro, director of maps, imagery, and geospatial data for the Arizona State University Libraries, tells us about maps of the iconic park to share its geologic and cultural stories. A series of lines on a wall, drawn by museum staff, from instructions written by an artist. A textile print made from scanning the screen of an Apple IIe computer, printing onto heat transfer material, and ironing the result onto fabric. A Java program that displays its source code—plus the roving attention of the programmer writing that code, and the even speedier attention of the computer as it processes it. All three are works of art currently on display at the Whitney Museum of Art’s ‘Programmed’ exhibition, a retrospective of more than 50 years of art inspired or shaped by coding. Host John Dankosky is joined by Whitney adjunct curator Christiane Paul, plus artists Joan Truckenbrod and W. Bradford Paley, to discuss the past and future of digital art. If you want to make a lava flow from scratch, the ingredients are fairly simple: one big crucible, and 200 to 700 pounds of 1.2 billion-year-old basalt dug from a quarry in Wisconsin. Combine these two, at 2,200 degrees Fahrenheit, and you have The Lava Project—a scientific study of the flow of molten lava in an upstate New York parking lot. Syracuse University geology professor Jeffrey Karson tells SciFri more. Plus: Desalination is the process that converts saltwater into water that can used for drinking, agriculture, or industrial uses—but desalination produces brine, a salty byproduct that can contain other chemicals. Journalist Tik Root talks about the trade-offs when it comes to desalination in this week's Good Thing, Bad Thing. Finally, Vox staff writer Umair Irfan joins SciFri for a look at the Midwest's Arctic temperatures, and other top science headlines, in this week's News Round-up. Some citizen scientists collect minerals or plants. But 19th-century lawyer Peter A. Browne collected hair—lots and lots of hair. His collection started innocently enough. Browne decided to make a scientific study of wool with the hope of jumpstarting American agriculture, but his collector’s impulse took over. By the time of his death, Browne’s hair collection had grown to include elephant chin hair, raccoon whiskers, hair from mummies, hair from humans from all around the world, hair from 13 of the first 14 U.S. presidents, and more. Bob Peck of Drexel University’s Academy of Natural Sciences explains what Browne hoped to learn from all these tufts. See more images from Browne's collection. Whether you’re a night owl or an early riser, we all sleep. But for something so universal, we don’t understand much about what makes us sleep. Researchers looking into this question recently found a gene called neumri that triggered sleep in Drosophila flies. That gene produced a protein that is linked to antimicrobial activity, and the results were published in the journal Science. Neuroscientist Amita Seghal, who is an author on the study, talks about the role sleep might play in sickness and keeping us healthy. It’s one of the first things you learn in elementary school science class: Trees take in carbon dioxide and breathe out oxygen. That may have satisfied our childhood questions about how trees work, but as adults, we understand the picture to be a lot more complex. Christopher Woodall, project leader with the USDA Forest Service joins guest host John Dankosky to crunch the numbers on carbon sequestration. And Christa Anderson, research fellow at the World Wildlife Fund, talks about how forests may be our best weapon for fighting carbon emissions. Your smartphone gives you up-to-the-minute weather forecast updates at the tap of a button. Every newscast has a weather segment. And outlets like the Weather Channel talk weather all day, every day. But how much has the process of predicting the weather changed over the past 100 years? Though many of the basic principles are the same, improvements in data collection, satellite imagery, and computer modeling have greatly improved your local forecast—making a five-day look ahead as accurate as a one-day prediction was 40 years ago. Richard Alley, a professor of geoscience at Penn State, describes the evolution of meteorology, and what roadblocks still lie ahead, from data sharing to shifting weather patterns. And Angela Fritz, lead meteorologist for the Capital Weather Gang blog at the Washington Post, describes the day-to-day work of a meteorologist and the challenges involved in accurately predicting your local weekend weather. When the Chilean volcano Villarrica exploded in 2015, researchers trying to piece together the eruption had a fortuitous piece of extra data to work with: the inaudible infrasound signature of the volcano’s subsurface lava lake rising toward the surface. Volcano forecasters already use seismic data from volcanic vibrations in the ground. But these “infrasound” signals are different. They’re low-frequency sound waves generated by vibrations in the air columns within a volcanic crater, can travel many miles from the original source, and can reveal information about the shape and resonance of the crater… and whether it’s changing. And two days before Villarrica erupted, its once-resonant infrasound signals turned thuddy—as if the lava lake had gotten higher, and left only a loudspeaker-shaped crater to vibrate the air. Robert Buchsbaum walks into a salt marsh on Boston’s North Shore. Around him towers a stand of bushy-topped Phragmites australis, an invasive plant commonly known as the common reed. Phragmites is an enemy that this regional scientist with the Massachusetts Audubon Society knows all too well. The plant, which typically grows about 13 feet high, looms over native marsh plants, blocking out their sunlight. When Phragmites sheds its lower leaves, or dies, it creates a thick layer of wrack that keeps native plants from germinating. Its stalks clog waterways, thwarting fish travel. The roots secrete a chemical that prevents other plants from growing, and they grow so deep they are nearly impossible to pull out. But this stubborn bully of a plant might have a shot at redemption. A recent study from the Smithsonian Environmental Research Center found that the very traits that make Phragmites a tough invader—larger plants, deeper roots, higher density—enable it to store more carbon in marshy peat. And as climate change races forward, carbon storage becomes a bigger part of the ecosystem equation. Most scientific journals go by the honor system when it comes to conflicts of interest: They ask, and the researchers tell. But that system might be due for an overhaul. A recent ProPublica and New York Times investigation found that a top cancer researcher at Sloan Kettering had received millions of dollars in payments from health and drug companies, but failed to disclose his industry ties in more than 100 articles. Within days, the researcher resigned, more conflicts came to light, leading to a moment of reckoning for the institution. But a more recent investigation shows the problem goes far beyond Sloan Kettering. New York Times reporter Katie Thomas, a co-author of the recent investigations, and Eric Campbell, a professor of medicine at the University of Colorado, discuss how these conflicts of interests could affect patients, why they aren’t being consistently disclosed, and what’s being done about the problem. Saturn stands out in our solar system because of the rings that circle the planet. But the rings may not have always been there and may disappear in the far future. Researchers using data collected by Cassini’s final plunge into the planet were able to estimate the mass of the rings. From this information they were able to estimate that the rings were between 10 to 100 million years old, much younger than the planet itself. The finding were published in the journal Science. Planetary scientist Burkhard Militzer, who was an author on the study, tells us what the rings of Saturn can reveal about the formation of the solar system and universe. Last year’s arrest of Joseph James DeAngelo, better known as the Golden State Killer, drew lots of attention for the clever use of consumer genetic testing websites to identify a suspect—and for all the murky ethical questions that came with it. But this wasn’t the first time law enforcement had used the technique to solve a cold case. Detectives looking for DeAngelo took their inspiration from an earlier case in New Hampshire, known as the “Bear Brook murders.” In that case, police were up against both an unknown killer and unidentified victims, until they relied on the genealogy database GEDmatch to help them with a crack in the case. It was a strategy that would change the game for forensic investigations in cold case murders. And the story of how it all got started is now told in a new true crime podcast from New Hampshire Public Radio called Bear Brook. Jason Moon, reporter for New Hampshire Public Radio and host of the podcast joins guest host John Dankosky to discuss. The 19th-century physician J. Marion Sims may have gone down in history as the “father of modern gynecology,” but Sims’ fistula cure was the result of experimental surgeries, pre-Emancipation, on at least 11 enslaved black women. Only three of whose names have been remembered— Anarcha, Betsey, and Lucy. A new play, Behind The Sheet, imagines their life—not just the pain, but the friendships they might have formed to support each other through surgery after surgery. Read an essay by Rich Kelley about the scientific an historical context of Behind The Sheet. Listen to Undiscovered's episode covering Sims' research and how people of color are still underrepresented in medical research. Read an article reported by Vox on the removal of a statue of Sims in New York in April 2018. Nineteenth-century physician J. Marion Sims has gone down in history as the “father of modern gynecology.” He invented the speculum, devised body positions to make gynecological exams easier, and discovered a method for closing vaginal fistulas, a painful, embarrassing and often isolating complication that can result from childbirth. But Sims’ fistula cure was the result of experimental surgeries, pre-Emancipation, on at least 11 enslaved black women, only three of whose names have been remembered—Anarcha, Betsey, and Lucy. Over a period of about five years, the women underwent dozens of surgeries as Sims attempted, and failed, to fix their fistulas. He rarely used anesthesia. What were the lives of those women like? A new play, Behind The Sheet, tackles this story from their perspective, imagining not just their pain, but the friendships they might have formed to support each other through surgery after surgery. In this story, the women tend each other’s ailments, make perfume to hide the smell from their fistula condition, and pledge to remember each other even if history forgets them. Researchers monitoring the condition of the Antarctic ice sheet report that not only is the ice melting, but that the rate of ice loss is increasing rapidly. According to their estimates, around 40 gigatons of ice were lost per year in the 1980s. By the 2010s, that rate of loss had increased to more than 250 gigatons of ice per year. That melting ice has caused sea levels around the world to rise by more than half an inch, the researchers say. Eric Rignot, climate scientist at the University of California-Irvine and one of the authors of the report, joins Ira to discuss the trends in the ice sheet and what they portend for sea level rise. In a world roiled continuously by earthquakes, volcanoes, and other tectonic disasters large and small, a cataclysmic earthquake is about to change the course of human history… again. On the same day, a woman comes home to find her son dead, killed by his father for being an “orogene,” one of the few people in the world with strange powers to manipulate geophysics to start—and stop—these disasters. Thus begins The Fifth Season, the first book of N.K. Jemisin’s triple Hugo-winning Broken Earth trilogy, and this winter’s SciFri Book Club pick. Join Ira and the team as we ponder seismology, volcanology, and how societies respond to disaster. We’ll read the book and discuss until mid-February. A Green New Deal is the idea of an economy based on renewable energy, green jobs, and other policies that combat climate change. The idea was recently proposed by newly elected Representative Alexandria Ocasio-Cortez; former President Obama put out a stimulus plan (in year) that included elements of a Green New Deal. But the term was first coined over a decade ago by the journalist Thomas Friedman. Friedman talks about what possible green proposals could entail and what obstacles it might face. The partial shutdown of the U.S. government is approaching its third week, and it has caused a backlog for scientists employed or funded by the government. Scientists have had to leaving data collection and experiments in limbo. The Food and Drug Administration has had to suspend domestic food inspections of vegetables, seafood, and other foods that are at high risk for contamination. Journalist Lauren Morello, Americas bureau chief for Nature, puts the current shutdown in context to previous government stoppages. Morello also tells us how agencies and scientists are coping during this time and what we might see if the shutdown continues. And Science Friday producer Katie Feather reports back from the American Astronomical Society conference about how the shutdown has affected the meeting and the work of scientists. Last year, about 47,000 people in the United States died from an opioid overdose, including prescription and synthetic drugs like fentanyl, according to the CDC. And as the epidemic of opioid abuse continues, those looking to reduce death rates are searching for ways to keep drug users safer. But what if your smartphone could monitor your breathing, detect early signs of an overdose, and call for help in time to save your life? Researchers writing in Science Translational Medicine this week think they have just that: smartphone software that can ‘hear’ the depressed breathing rates, apnea, and changes in body movement that might indicate a potential overdose. University of Washington PhD candidate Rajalakshmi Nandakumar explains how the software, which uses smartphone speakers and microphones to mimic a bat’s sonar, can ‘hear’ the rise and fall of someone’s chest—and could someday even coordinate with emergency services to send help. Starting January 1, 2019, hospitals have been required to post online a machine-readable list of detailed prices for materials and procedures—from the cost of an overnight stay in a hospital bed, to a single tablet of Tylenol, to the short set of stitches you get in the emergency room. The new requirement is a Trump administration expansion of Obama-era rules growing out of the Affordable Care Act, which required that this list of prices be made available upon request. But while the increased availability of this pricing information might seem like a win for consumers, it’s not actually all that useful in many cases. First, the price lists don’t give a simple number for common procedures, but break down each part of every procedure item by item, in no particular order, and labeled with acronyms and abbreviations. Second, the price lists, called ‘Chargemasters,’ are the hospital equivalent of the car sticker price—they represent what the hospital would like to be paid for a service, not the price that most consumers actually do pay, or the prices that may have been negotiated by your insurance company. Julie Appleby, senior correspondent at Kaiser Health News, joins Ira to explain what the price lists actually show, why they matter, and what consumers might be able to do to get a better estimate of potential health care costs. You’ve heard the news that smoking is bad for your health. But it turns out not exercising could be even worse for your chances of survival, according to a recent study in the journal JAMA Network Open. But is it possible to overdo it? While you’re trying to boost your overall health, could you instead be doing damage to your heart? In this segment, Wael Jaber of the Cleveland Clinic and Maia P. Smith of St. George’s University talk about how sports like weightlifting stack up to running and cycling in terms of health effects, and how the sport you choose could actually reshape your heart. Discovered only decades ago, black holes remain one of the universe’s most mysterious objects, with such a strong gravitational pull that that light—and even data—can’t escape. 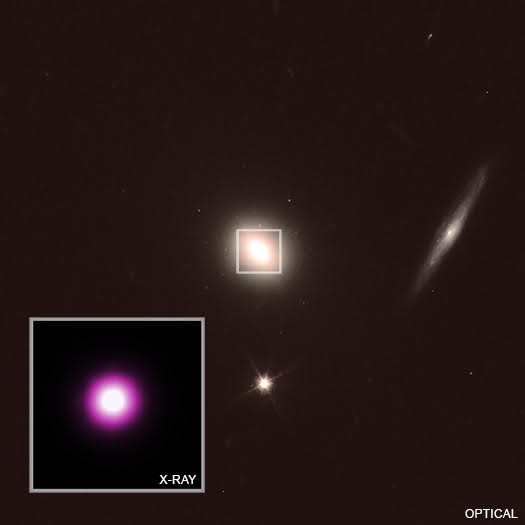 Oftentimes researchers can only observe black holes indirectly, like from blasts of energy that come from when the massive bodies “feed” on nearby objects. But where is that energy generated, and how does that eating process actually progress through the geometry of the black hole? Erin Kara, a postdoctoral fellow at the University of Maryland and NASA Goddard Space Flight Center, describes new research published in Nature into how echoes of X-rays in small, stellar-mass black holes can point the way. At the other end of the spectrum, supermassive black holes billions of times the mass of our Sun are believed to dwell at the hearts of galaxies. Many are active, drawing in nearby gas and dust and emitting energy in response, but others are dormant, with nothing close to feed on. MIT postdoctoral fellow Dheeraj Pasham talks about what happens when these dormant black holes suddenly encounter and tear apart a star—and how the fallout can shed light on how these black holes spin. His research appeared in Science this week. The researchers also discuss how black holes could lead the way to understanding how galaxies evolve, and other black hole mysteries. Every year, the Consumer Electronics Show, or CES, meets in Las Vegas to showcase the latest in consumer tech trends. This year was no different—but what should we expect in tech in 2019? WIRED news editor Brian Barrett was on the floor of the Las Vegas Convention Center all week and joins Ira to talk about what he saw, including a flying taxi and other concept cars, delivery drones, robot companions, and ‘5G’ products mean without a 5G network. Earlier this week, hundreds of thousands of revelers huddled together under the pouring rain in Times Square for an annual tradition: to watch the New Year’s ball drop. But once the clock struck midnight, the song was sung, and the loved ones were kissed, all anyone wanted to do was get out of there. The problem? How does a mass of 100,000 people move out of a few square blocks in midtown Manhattan? Luckily, scientists are studying this type of problem. Stanford University professor Nicholas Ouellette joins Ira to discuss the weird world of crowd movement. From low-carb, high protein, calorie counting, there are all sorts of diets that claim to help you lose weight. But how do all of these guidelines affect our metabolism and bodies? A study out in the British Medical Journal found that a reduction in carbohydrates increased energy expenditures. Endocrinologist David Ludwig, an author on that study, talks about the role carbohydrates, fats, and proteins play in regulating our metabolism and how we might rethink our calorie counting. Plus: Lake Tahoe scientists are enlisting local citizens to better understand winter storms. Capital Public Radio's Ezra David Romero joins Ira in the latest edition of The State Of Science. And FiveThirtyEight's Maggie Koerth-Baker tells Ira about China's Chang'e-4 mission and other top science stories in this week's News Round-up. Every year in the dead of winter, bird lovers flock in large numbers to count as many birds as they possibly can on a single day. This is the Audubon Society’s annual Christmas Bird Count, a citizen science effort to track the trends of bird numbers over time. As the 2018 count comes to a close, Ira checks in with birders Jason Ward, Martha Harbison, and Laura Erickson about this year’s trends. Already many finches, including coveted grosbeaks, are showing up south of their normal winter range, much to the delight of avid birders from Florida to Vermont. The trio also share advice for beginning birders and making the most of the winter months, and which birds to look out for in 2019. As a bonus, Ira quizzes listeners on their bird call recognition skills. In 2018, natural disasters around the world bore the unmistakable fingerprints of human-caused climate change. The federal government’s 1,600-page National Climate Assessment predicted even more extreme events—floods that destroy infrastructure, warming that spreads disease, and deadly record high temperatures. But global carbon emissions set a new record this year, and experts say that humanity is nowhere close to meeting its goal of limiting total temperature increases to 2 degrees Celsius. It was also a red-letter year for space missions. NASA launched the Parker Solar Probe to get a closer look at the sun’s corona. And after nine years of detecting exoplanets, the Kepler Space Telescope finally ran out of fuel. In the world of medicine, scientists grappled with the ethical questions concerning human gene editing, many of which are still unanswered. Sarah Kaplan, science reporter for the Washington Post, and Rachel Feltman, science editor with Popular Science, join Ira to discuss the year in science news. Plus, we check back in with a few of the State of Science stories from this year including conservation projects in Wyoming, lead levels in Chicago drinking water, and the algae blooms that formed off the coast of Florida. Every holiday season, tourists throng Rockefeller Center to see the famous tree, soaring above the paved plazas and fountains. But more than 200 years ago, they would have found avocado and fig trees there, along with kumquats, cotton, and wheat—all specimens belonging to the Elgin Botanic Garden, founded by physician and botanist David Hosack. Hosack grew up in the shadow of the American Revolution and became fascinated with the healing powers of plants as a young doctor studying abroad. Upon returning to the young United States, he founded America's very first botanical garden, in the model of the great European gardens, as a place where he could study crops and medicinal plants. He was close friends with both Alexander Hamilton and Aaron Burr (he was the attending physician at their fatal duel) and went on to help found many of New York City's civic institutions, such as Bellevue Hospital and the New York Historical Society, along with the first obstetrics hospital, mental hospital, school for the deaf, and natural history museum. "Hosack started with his garden, and ended with making New York New York," says Victoria Johnson. She tells the story of Hosack's life in her book American Eden: David Hosack, Botany, and Medicine in the Garden of the Early Republic. Yet Hosack has been largely forgotten by history, overshadowed by names like Rockefeller and Carnegie, even though he was legendary in the generations after his death. In this segment, Ira braves the crowds of Rockefeller Center on a hunt for Hosack's commemorative plaque, and interviews Johnson for the unheard story of this forgotten revolutionary hero. What are your resolutions for 2019? If the answer is “explore a frozen, primitive planet-like body,” you have something in common with New Horizons, the spacecraft that dazzled the world with close-ups of Pluto in 2015. Its next stop? The first fly-by of an object in the distant Kuiper Belt. New Horizons has been flying further away from us in the years since, and will soon encounter Ultima Thule, a small object about the size of New York City that may be able to tell us more about the origins of our solar system. Ultima Thule is thought to have been frozen and undisturbed for more than 4.6 billion years—a potentially perfect time capsule of the solar nebula that gave rise to Earth and its neighbors. Ira talks to Alan Stern, principal investigator of the New Horizons mission, about the New Year’s Eve fly-by and the treasure trove of data his team is hoping to unwrap. The Trump administration is cracking down on federal scientists seeking fetal tissue for their work, while it conducts a “comprehensive review” of research involving fetal cells. One HIV research program that uses fetal tissue to create humanized mice has already been halted by the order. The Department of Health and Human Services said in a statement that it’s performing the audit due to the “serious regulatory, moral, and ethical considerations involved” in this type of research. And a spokesperson for the HHS said the agency is “pro-life, pro-science.” But what does that mean, exactly? Schadenfreude, or deriving pleasure from someone else’s misfortune (which you have not caused), may seem to be everywhere in the modern era of internet trolls, but the misunderstood emotion is not a modern phenomenon. The German word first appeared in English text back in 1852, although people in English-speaking countries were so scared of what it would mean to admit to feeling schadenfreude that they never came up with a comparable English word for it. Over the years people have tried to analyze why we feel schadenfreude—evolutionary psychologists say it’s a way for us to assess risk and 19th-century Darwinian scholars suggested it was a behavior associated with “survival of the fittest”—but people have never really gotten comfortable with those academic explanations. You might outwardly protest that you don’t feel joy in seeing another person suffer, before returning to “fail” videos on YouTube. But according to Tiffany Watt Smith, a cultural historian of emotions, you don’t have to feel shame about feeling this way. Schadenfreude doesn’t make us psychopaths, or internet trolls—it just makes us human. And if we are living through an “age of schadenfreude,” as some have suggested, perhaps there’s something useful to be learned from it. You’ve heard of viruses, bacteria, and fungal infections. But what happens when disease is caused by misfolded proteins? Prion diseases, as they’re called, infect the central nervous systems of animals all over the world, including sheep scrapie, Mad Cow Disease, and even a new one recently discovered in camels. In deer, the prion that causes Chronic Wasting Disease will stay undetected for years before a deer suddenly stops eating and begins to waste away. Always fatal, the infection spreads from deer to deer, and even lurks in soil—and it’s reaching new parts of the U.S. and the world every year. Judd Aiken, a professor at the University of Alberta, explains how prions like those that cause CWD interact with different soil types to bind to minerals and become more infectious… or pass harmlessly through. He describes new research about how humic acid, a product of organic matter in soil, seems to degrade prions and reduce the infectivity of CWD. You’ve probably heard of the five second rule, when you drop a cookie on the floor and take a bite anyway because it’s only been a few seconds. What about when you’re at a party and you see someone double dip a chip in the salsa? How much bacteria does the double dip and the five-second rule spread around? Biologists Paul Dawson and Brian Sheldon investigate these questions their new book, Did You Just Eat That? : Two Scientists Explore Double-Dipping, the Five-Second Rule, and other Food Myths in the Lab. They talk about how bacteria spread around in our everyday lives and what can be done for food safe handling in our homes. What is the right age to get a flu vaccination at a pharmacy? In North Carolina, apparently, it’s 14. The age limit was written into state law a few years ago. Across the country, age limits for pharmacists to give vaccines range from 3 years old in some places to 18 in others. But why? Since the 1990s, states have been changing laws to allow pharmacists to give more and more vaccines to patients at younger ages. In 26 states and Washington D.C., pharmacists can give vaccines to people at any age. The rest have varying limits starting as young as 3-years-old in Arizona and as old as 18 for vaccines in North Carolina—except for the flu shot. This week, European Union leaders signed a provisional agreement that would ban 10 major single-use plastic products, from plastic straws and cutlery to Q-tips with plastic stems. The agreement would need to be ratified by EU member states, likely in the spring. If approved, the ban would be implemented in 2021. Rachel Feltman, science editor at Popular Science, joins Ira to talk about the proposed ban and what it might mean in the EU and elsewhere. 28 years ago, astronauts on the space shuttle Discovery gently raised the Hubble Space Telescope, or HST, up from the shuttle bay, and released it into space. Geologist and astronaut Kathryn Sullivan commemorated the moment with a short speech, as she floated in the shuttle. It would be a few years (and a repair job) before the truly historic nature of the telescope was revealed, showing us new views of the cosmos, and wonders it wasn’t even designed to study, like exoplanets. But Hubble is getting up there in years, and it’s time for new history to be made. Lots of new telescopes are waiting in the wings: The James Webb Space Telescope, W-FIRST, plus a collection of others vying to be the next big thing in space telescopes. Caterpillars might be the squirming, crawling larval stage of butterflies and moths, but they have defenses, behaviors, and lives of their own. Second grader Nina Del Bosque from Houston, Texas was stung by an asp caterpillar. She wanted to know about other stinging caterpillars in the world and what role they play in the ecosystem—so she sent Science Friday a handwritten letter with her questions. We invited Nina on the show with biologist David Wagner, author of Caterpillars of Eastern North America: A Guide to Identification and Natural History, to talk about the stinging asp caterpillar, the woolly bear, and all things caterpillar. View a few of these unique critters below. For years, cancer treatment has largely involved one of three options—surgery, radiation, or chemotherapy. In recent years, however, a new treatment option, immunotherapy, has entered the playing field. It has become the first-line preferred treatment for certain cancers. Immunotherapy is a class of treatments that use some aspect of the body’s own immune response to help battle cancer cells. There are several different approaches, each with their own advantages and weaknesses.This year, the 2018 Nobel Prize in Physiology or Medicine was awarded jointly to James P. Allison and Tasuku Honjo “for their discovery of cancer therapy by inhibition of negative immune regulation.” The Nobel committee called their discoveries a landmark in our fight against cancer. Treatments based on their work are now in use against several forms of cancer, with many more trials underway. Still, the approach doesn’t work in all cases, and researchers are working to try to better understand why. How do raccoons keep getting into people’s trash? It might just be one of the greatest unsolved mysteries of our time. No matter what kind of fancy lid, bungee cord, or alarm system we use, somehow these masked creatures always find a way into our smelly garbage. But are they just dexterous or actually smart? Lauren Stanton, Ph.D. candidate in the Animal Behavior and Cognition Lab at the University of Wyoming, joins Ira to talk about testing the animal’s smarts. City mouse and country mouse aren’t just characters from stories—cities are unique ecosystems built by humans, and animals adapt when they move into urban areas. Researchers recently compared the calls of male túngara frogs in Panama that lived in the forest with those in the city. They found that the city frogs had more complex calls and that female frogs preferred these calls—but the less complex calls of country frogs made them easier to hide from predators. Biologist Alex Trillo, an author on the study, talks about the costs and benefits of changing calls for the túngara frog. Here at Science Friday, our jobs involve reading a lot of science books every year. We have piles and piles of them at the office. Hundreds of titles about biology and art and technology and space, and sometimes even sci-fi. Now, the time has come for our annual roundup of the books we couldn’t forget. We have plenty of picks from you, our listeners, as well as from our panel of expert guests: Stephanie Sendaula of Library Journal Reviews, Deborah Blum of MIT’s Knight Science Journalism Program, and Dr. Eric Topol of Scripps Research. See our favorite science books of 2018 here. Fungi, bacteria and lichens can grow on paintings, monuments, and other types of artwork. They feed on different pigments, oils, and canvas. In a study out this week in the journal PLOS ONE, researchers analyzed a 17th century painting and found microbes that could degrade and others that could protect the painting. Robert Kesseler, the Director of the Smithsonian’s Museum Conservation Institute (who was not a part of that study), discusses why microbes like to munch on paintings and what can be done to protect these works of art. Good news could be coming soon for anyone interested in hemp, the THC-free, no-high strain of cannabis whose use ranges from fibers to food to pharmaceuticals. If the 2018 Farm Bill passes Congress in its current form, growing hemp would be legal and products derived from hemp would be removed from their current legal gray area. Cornell horticulture professor Larry Smart explains why a plant that hasn’t been grown legally in the U.S. for nearly a century will require a monumental effort from scientists to catch up to crops like soybean and tomatoes. Plus, Dr. Esther Blessing, an assistant professor of psychiatry at NYU Langone Health, breaks down where the research stands on other uses of CBD, and what we still don’t know. Then: Mass extinctions are a window into past climate disasters. They give a glimpse of the chemical and atmospheric ingredients that spell out doom for the Earth’s biodiversity. Scientists have identified five big mass extinctions that have happened in the past. The end Triassic mass extinction—number four on the list—happened around 200 million years ago, when three-quarters of the Earth’s species went extinct. But the exact play-by-play is still a mystery. Paleontologist Randy Irmis at the Natural History Museum of Utah and his team are searching for phytosaur fossils, and Science Friday producers Katie Hiler and Lauren J. Young joined him in the field. Plus, could the answer to controlling mosquitos be...more mosquitos? Or, at least, more mosquitos with a bacterial infection. We check in with Valley Public Radio reporter Kerry Klein on the State Of Science. And it's been a big week for space news. Science Friday director Charles Bergquist joins Ira for the News Round-up. The first CRISPR-edited babies are (probably) here. The news raises social, ethical, and regulatory questions—for both scientists and society. Then, why are human bodies asymmetrical? A single protein could help explain why. And finally, ever wondered how whales got their mouth bristles? It's possible that they went through a phase where they sucked up their food like vacuums before they evolved baleen. This Monday, Mars fans rejoiced as NASA’s lander Mars InSight successfully parachuted safely onto the large, flat plain of Elysium Planitia. In the days that followed, the lander successfully has deployed its solar panels and begun to unstow its robotic arm. Learn more about the landing, plus the latest science news. Then, wind energy development is spreading around the nation. But as developers move to identify promising locations for wind farms, however, they may need to consider more than just logistics, wind speeds, and distribution lines. Researchers report that “wake effects” from one wind farm can sap the energy of a downwind generating facility as far as 50 km away. Part II of the Fourth National Climate Assessment describes how every part of our society and every state in our country will be impacted by a warmer world. Not just by hurricanes, floods and wildfires, but by more rainfall in the Midwest, thawing permafrost in Alaska, and drier air in the Southeast. And finally, calling all science educators! We're teaming up with science educators across the country in our Science Friday Educator Collaborative Program, in which educators work with SciFri staff to develop resources for science learners everywhere. Applications are open now. When you think of an archaeologist, you might imagine a scientist in the field wielding shovels and pickaxes, screening through dirt to uncover artifacts and structures buried deep in the ground. But what about those areas that you can’t reach or even see? That’s when you call archaeologist Lori Collins from the University of South Florida. Collins uses LIDAR—a detection system that uses lasers—to map out the cracks and details of a prehistoric cat sculpture created by the Calusa people, sinkholes that pop up in Florida, and even a former NASA launch pad. She talks how this technology can preserve these archaeological finds in the face of climate change, natural disaster, and war. When archaeologists unearth past societies, the story of those people is written in human remains and artifacts. But it’s also written in environmental remains: bones of animals, preserved plants, and even the rocks around them. Kitty Emery and Nicole Cannarozzi, both environmental archaeologists at the Florida Museum, lead an onstage expedition through the earliest known domestication of turkeys in Guatemala and Mexico, the 4,000-year-old shell middens of indigenous people of coastal Southeast United States, and even sites that could tell us more about the African American diaspora and the lives of slaves mere hundreds of years ago. Plus, the two archaeologists tell us how understanding the environmental choices of past people can lead to better insight into ourselves. Sea level rise and fall over hundreds of thousands of years. Ancient vegetation. The diets of early human ancestors and the temperatures they lived in. Carbon dioxide in the atmosphere and how it changed over time. All of these are data sought by paleoclimatologists, who study the prevailing climate during times past. And the clues of this data are buried in the rock formations of caves around the world. Paleoclimatologist and cave researcher Bogdan Onac of the University of South Florida travels from New Mexico to Romania to Spain to find the stories hidden in millenia-old cave ice, bat guano, and rock formations. He joins Ira to tell tales from the trail. When you go to the zoo, maybe you imitate the chimps, copying their faces, their gestures, or their walk. But it turns out the chimps imitate you just about as often—and as well, according to scientists. Other researchers have found that a trained nose can detect the odor of a single fly floating in a glass of wine. And that sometimes, a trip to the amusement park may be an effective treatment to aid in the passage of kidney stones. When wildfires strike, the conversation typically centers around natural factors: forest management, climate change, or hot dry winds that fan the flames. But there’s another important factor in wildfire risk: what humans build. Not just where we build, adjacent to flammable landscapes, but how we build it. Fire historian Stephen Pyne joins us to talk about what we might learn from the way we build in big city centers, where we’ve been largely successful at stamping out big blazes, and Sascha von Meier of UC Berkeley tells us a few ways power companies might fortify the grid to avoid sparking fires. And could California use more planned burns to prevent forest fires? Molly Peterson of KQED tells us more. Plus: Flu season has already begun, and Science Friday is teaming up with Flu Near You to recruit a national team of everyday citizens to build a real-time map of the rise and fall of influenza-like-illness in the United States. It’s as simple as reporting how you feel each week. Science Friday education director Ariel Zych and Flu Near You co-founder John Brownstein of Boston Children’s Hospital kick off the project with information and some of the trends they’ll be tracking throughout the season, and biologist Matt Smith tells about the dangers of flu season for people living with cystic fibrosis. Plus, Annalee Newitz joins Ira to tell us the latest science news in the News Round-up. If you had to give up one of your senses, which would you pick? If you think that “smell” might be the obvious answer, consider that your nose plays a crucial role in how you perceive the taste of your food or that it’s a sophisticated sensor capable of synthesizing the hundreds of different molecules into the floral fragrance we know as “roses.” University of Florida professor Steven Munger explains the nuances of smell. Plus: The digital world is changing how we read. What does that mean for the next generation of readers? As Maryanne Wolf describes in her newest book, Reader, Come Home, we may be at risk of raising a generation of people who don't have those skills simply because of our changing reading habits. She joins Ira to discuss how our reading brain has changed since moving into the digital world and what we can do to fall in love with reading again.